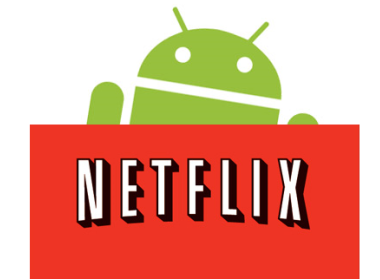 T-Mobile G2x owners, are you have some jealousy issues with the announcement of Netflix for Android on specific phones only? Well thanks to the folks at XDA-Developers we can get your G2x up and running with Netflix in just a few (mostly) easy steps. The whole process works by tricking Netflix into thinking that your G2x is really a G2 and voila, streaming Netflix video! First and foremost you’ll have to be rooted in order to continue. In order to achieve our goal we’ll have to edit the G2x’s build.prop file which is the file that contains the identity of your phone. Before proceeding any further we suggest making a backup of your current build.prop file. Let’s stop and make a quick: by performing this hack you take any and all responsibility for damages permanent or otherwise to your phone. Download and install the Netflix app, login and watch your movies! Hit the Intomobile link for a great series of pics helping walk you through the steps! ← T-Mobile To Introduce Revamped Family Plans? This phone keeps turning out to be a good decision. I been holding out on rooting it but I guess I gotta know. Doesn’t this just show that the only reason why Netflix doesn’t work on the phone is because Netflix didn’t want it to? I mean, if it works so long as Neflix thinks you’re the right phone, and it works with no issues, then, what the heck? I think pretty much. They just haven’t fully tested it with every phone and rather than satisfy us in the meantime by letting us download a buggy app that might not work, they pull and apple and hold out til it’s right. Or could be like Swype keyboard. Made deals with the manufacturers to make their phones special by having the app first. Won’t this make games for tegra not work anymore? Going to have to try this out but im skeptical of what it will break. Those directions change WAY TOO MUCH! Merely changing the Model and the Manufacturer are enough but case IS important. I know because this what I’ve done. This then doesn’t mess with market, etc. I had the same issues and to be honest I fix it for over 2 weeks now. I use to charge my phone when it was on, after three days the reboots constantly happened. Then I read an article somewhere where people who charged it via a computer weren’t having that bad of reboot problems, so I tried turning my phone off when charging and unplugging it before turning it on. And for me I’ve not had ONE reboot. Maybe it’ll help you with that issue to, it did for me. And THAT is why you order through Amazon! I have the cm7 nightly v17 which is the most up-to-date version and it still didn’t work for me. Really? Works for me. I edited it saved it and rebooted and its working good! Works great on my HD2! Which “FREE” exlorer will let you do this. Root explorer isn’t free. I know I can change the permissions in terminal but if someone provides a free program it saves some time and effort. or downloading from 4shared for free. I did this with my 4G Vibrant to have MLB Live work. It worked beautifully but I would have to change it back to the original build.prop to send and receive MMS. I don’t know if we would have the same problem changing the build.prop on this. I did this yesterday on my G2x, running CM7 nightly 16, and it broke Swype. I was able to play a movie, and it was great! I can’t wait for it to actually be supported on the G2x. I like/want/need Swype, so I uninstalled it. Don’t you dare compare the g2x to the hd2. My LG rep has been much more forthcoming. There is a known issue with the device, linked to GPS running in the background, that causes the phone to shut off or reboot. Mine does it a lot. My LG rep confirmed that LG is aware of the issue and has a fix ready to roll out within the next 3 weeks. They are going to bundle the maintenance release with the Gingerbread update OTA. @smylax Amazing News! Thanks for the info, I can rest easy now lol. Please realize that just because you wrote something that you claim you were told it is not actually telling you what the engineers told you, and if so then you’re talking to the wrong engineers. Sometimes, there are feature tests running in markets, other times it is handset issues related to the software implementation. But, from a technical perspective you are all mixed up. LG will work directly with T-Mo’s handset group and vice versa as well as the respective 3G vendor as needed. To help slightly, the battery gets hot when the phone is doing something, which means likely one of 2 things, first it has an application stuck open processing (usually), the phone asks the network something, the network responds the phone did not hear so it asks again and we have a loop…. think of it as if they’re talking but they’re not understanding each other. Finally, having tested this device with respect to its performance it is a good device, hopefully any minor (in my opinion) glitches will get cleared up since this is new. Last but not least, try to put the handset in airplane mode, then put it back on the network. See if that helps (it should force a fresh registration/sync to the network). Just was stating what a Sr. Engineer emailed to our market, this was on calls not going thru and signal loss. The rebooting issue is battery or software related, tmobile still has not solved this issue. The sr Engineer stated that it COULD BE related to a network connection because the phone is trying to look for a signal constantly. I’m just trying to find answers here and not spew uneducated hypotheses, I work for tmobile so I’m trying to help my customers that bought this phone including mine. This phone is amazing but our returns are ridiculous and no one in our Market wants to promote this beautiful phone. I want to rest assure my customers that this problem is not going unnoticed and that a fix is in the works. Only way this will get done is if we ask questions and try to come up with a solution. Aaron Baker from Phonedog even had his G2X reboot on his test unit several times. @David:twitter So here is my proof that T-Mobile has recognized the issue and I’m not just making it up. No Joy on stock rom. Netflix closes the second you open it. I had the exact thing happen to me. Also, the properties changes broke swype, so had to go back to original build prop. Boo. Doesn’t work for me either. Guess I’ll have to pony up and flash one of the CM7 nightlies tomorrow. It also works on the Vibrant. You just need a 2.3 rom and it runs without any further trickery. Im running the Simply honey 3.3update1 and it works perfectly. When editing the build.prop file I get “Read Only file” when using SUFBS. Tried ES explorer and got an error about not being able to save the file. I think it may be due to the ROM that is being used. I’m using the OEM ROM for the G2X. And I have mounted the system to be read and written. OEM ROM DOESNT WORK I HAD TO SWITCH TO CTANOGEN FOR IT TO WORK. Thanks. I thought that was the case. I guess I will wait for a stable build of CM7 for the G2X. Damn, LG proprietary drivers. hey try using root explorer ,and read “hit on top right hand of app the’ r/w then open as text editor and fsllow commands ‘ d.u.m.a.ss. CONFIRMED WORKING ON G2X WITH CYANOGENMOD 7 NIGHTLIES ! AWESOME QUALITY ! Not useless for those who understand that you can use ask the data in the world when you are connected to wifi…. Yeah … It’s so blazing fast that everyone sounds like a chipmunk! It turns of as soon as I hit the app. Any help on that? my phone is not saving the new information. does anyone know why?? ?